Through your generous donations to the #6K4Life campaign we have reached the goal of raising $6,000 to send Abortion: A Rational Look at An Emotional Issue (Reformation Trust Publishing) by R.C. Sproul to every member of Congress. Our hope is that God will use it to make an impact on the hearts and minds of our representatives about this critical issue. 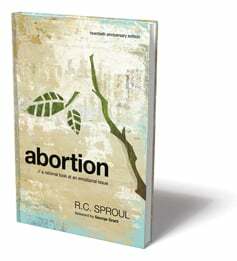 The books, accompanied by an open letter from Dr. Sproul, will be sent in January, 2011. Thank you for helping to make this possible.